﻿Policy Tours are a great way to see and experience more of Alberta while you are in Calgary for the Summit. Sign up for policy tours when you register. If you've already registered, you can still go back and edit your registration. Join the Disaster Resilience Working group session offsite for a working session at the Enmax District Energy Centre and Calgary Emergency Operations Centre. In July 2013, Calgary experienced the flood of the century that was the largest natural disaster in Canadian history. As the Bow and Elbow Rivers peaked, nearly 100,000 residents were evacuated from their homes and Calgary's downtown core shut down for nearly a week. While the damage was significant in parts of the city, Calgary's approach to emergency management and its ability to mobilize citizens in the face of disaster helped the city rebuild and open the Calgary Stampede just weeks after the flood. The ENMAX District Energy Centre, located in the heart of the city, managed to remain fully operational despite significant damage to its basement and surrounding buildings. The Calgary Emergency Operations Centre, opened in late 2012, was the City's command centre during the flood and its aftermath. It is a self-contained facility that brings together city business units and external support agencies to support front-line personnel and ensure business continuity in the face of an emergency. Shepard is now fully operational and is Alberta's largest natural gas-fueled power facility. 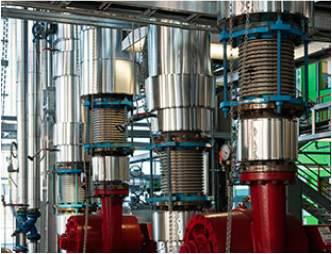 Using combined-cycle technology, two natural gas-fueled turbines and one steam turbine will add more than 800 megawatts of electricity to the provincial grid - enough to meet almost half of Calgary's current needs. Shepard will also emit less than half the carbon dioxide per megawatt of conventional coal plants. Shepard will use reclaimed water piped from the City's Bonnybrook Wastewater Treatment Plant. This water will pass through an on-site water treatment facility before it's used at Shepard. Calgary International Airport (YYC) is Alberta's premier international passenger and cargo gateway. Since 2002, the Calgary Airport Authority has made significant investments into the 3 million square foot facility, successfully doubling the amount of cargo tonnage shipped across the globe through the YYC gateway. YYC provides direct freighter service to both Europe and Asia - and ships more than 75 percent of all Alberta air cargo shipments - providing businesses in Alberta with first-rate access to global markets. Through an in-depth presentation and bus tour, this unique event will provide the opportunity to see and learn how the Authority works closely with its cargo partners to help them strategically grow their businesses and contribute to Calgary's economic development. GrowSafe engineers, computer and animal scientists have developed an intelligent animal measurement, monitoring and management platform that non-invasively acquires data continuously from multiple biometric and environmental sensors deployed in the livestock production environment. GrowSafe's patented technology offers a scientifically proven unprecedented ability in real-time to continuously and automatically monitor individual animals, measure and predict their market value and identify and treat targeted animals without human intervention. GrowSafe technology is installed in 23 U.S. states, 7 Canadian provinces, Mexico, South America, Australia, Africa and the EU. Aside from the obvious use in prevention and early treatment of illness this technology can reduce the animal's feed intake by over 12% without sacrificing production gains, reduce methane by 30% and manure with associated minerals by 17%. This is not only about beef production but also about environmental stewardship and protection. If you have an interest in learning about beef production today and being able to debate those who feel that animal agriculture is wrong then this tour is the answer. The tour will provide an in-depth lunch and learn tour, with an overview of the GrowSafe technology, and a hands on tour of their operations and pasture research center. ACWA, Advancing Canadian Wastewater Assets, is a unique-in-the-world research partnership, tackling global remediation questions that nobody else can. Calgary has long been known as a place for big ideas and where entrepreneurs often change the face of their industry through innovation. The Customer Innovation Centre is the first of its kind in North America for GE. It brings together global experts and advanced analytical tools to explore, analyze and solve business challenges. Using their commercial innovation expertise to help innovators develop scalable solutions that can be applied quickly and commercialized for maximum return on investment. District Ventures is Canada's only consumer packaged goods accelerator and is a natural marriage with Canada's thriving agricultural and health sectors. It allows Canadian companies to add value to raw products in Alberta before exporting them to global marketplaces. Join Calfrac Well Services to learn more about the energy sector and the hydraulic fracturing business. This informative session pairs an interactive presentation with a guided tour of the company's laboratory where participants will learn more about how cementing technologies are used to secure well casings and how fluid systems are developed and tested to optimize the hydraulic fracturing process. An API Q2 and ISO 9001 certified company, Calfrac's services include hydraulic pressure pumping (fracturing), coiled tubing, cementing and other well stimulation services designed to help increase the production of oil and natural gas. The company has established a reputation for high quality, safe operations and flawless execution. Based on horsepower, Calfrac is one of the largest hydraulic fracturing companies in the world with a combined fleet of 1.3 million horsepower. Calfrac is headquartered in Calgary, Alberta and operates in western Canada, the United States, Russia, Argentina and Mexico. Join the Water Policy Working group and Lafarge for an engaging tour of the Bow River valley upstream of the City of Calgary. The Bow River is critically important to support the water needs of almost 2 million basin residents, for maintaining a functioning and sustainable environment, as well as meeting the agricultural, commercial and industrial needs in the basin. Water management has been a key activity in the Bow River valley for more than 100 years, supporting community development and the generation of hydroelectricity, as well as meeting the needs of a number of industries located in the valley. As a result of global climate change, the Bow Valley region is experiencing a number of changes to its already highly variable supply conditions. Weather extremes are becoming more common. In 2013 the Bow Valley experienced extreme flooding, and 2016 is shaping up as a particularly dry year. Water users and stakeholders in the basin are actively engaged in a number of initiatives to increase adaptive capacity and promote resilience in the face of these ongoing changes. The tour will provide an overview of some of these activities, allow tour participants to see some of the engineered response to flooding at Cougar Creek in Canmore, and to visit some of the water control facilities in the basin that are brought into play not just for hydro generation, but also for water management. The April agreement between the Province of Alberta and TransAlta will be highlighted. The tour will also feature a visit to Lafarge’s Exshaw Plant. Lafarge has been operating in the Bow River valley since the early 1900s. Participants will receive an insiders tour of the recent $600 million expansion project which included a new kiln and precaliner tower. The expansion will nearly double the cement production at the plant using the most modern environmental technology available. The cement produced at the Lafarge Exshaw plant supports the growing infrastructure needs of PNWER. Tour starts at 8 a.m.
Where the foothills of the Rocky Mountains meet the Great Plains, you will discover one of the world's oldest, largest, and best preserved buffalo jumps. The Jump bears witness to a method of hunting practiced by Blackfoot people of the North American plains for nearly 6,000 years. In 1981, the United Nations Educational Scientific and Cultural Organization (UNESCO) designated Head-Smashed-In Buffalo Jump as a World Heritage Site placing it among other world heritage monuments such as the Egyptian pyramids, Stonehenge and the Galapagos Islands. The Piikani Nation has one of the highest Post-Secondary graduate rates among First Nations. As such the Nation has produced a wide variety of professional ranging from Lawyers, Doctors, Educators, Scientists, Police and Military personnel all of whom call Piikani home. The Piikani Nation remains a leader in various aspects of renewable energy; with its Weather Dancer (Wind Turbine), Solar Panel Installations (the first in Treaty 7), and Oldman Hydro power generator. Participants will be provided; a roundtrip coach transportation from Calgary to Head-Smashed- In Buffalo Jump (located 183kms, south of Calgary), private interpretive tour, dance demonstration, meet and greet with members of the Piikani Nation Chief & Council, traditional foods and souvenir. ​Please contact Rachael.kopp@pnwer.org for details. On behalf of Ian MacGregor, Chairman, President and CEO of North West (NW) Refining , we invite you to come and tour the Sturgeon Refinery, located 4 hours north of Calgary. Guests will be transported by plane to visit the facilities. NW Refining is a 50 per cent partner in the North West Redwater Partnership. The Partnership is investing $8.5 billion into the Alberta Industrial Heartland to build the first phase of the first greenfield refinery in Canada since 1984. Committed to maximizing the value of Alberta bitumen resource by creating high demand products, such as low-carbon-standard diesel, the Partnership is already making headway as a world leader in clean diesel production. Once Phase One is complete at the end of 2017, it will have the capacity to process approximately 79,000 barrels per day of bitumen blend feedstock into approximately 80,000 barrels per day of high value and high demand refined products that can meet the local demand throughout Western Canada but also access world markets. The Sturgeon Refinery is also the first refinery in the world to incorporate carbon capture from the outset and will utilize gasification technology to capture the CO2 produced during the refining process and sell it as feedstock to Enhance Energy Inc., whose Alberta Carbon Trunk Line (ACTL) will use this feedstock for enhanced oil recovery before safely and permanently storing it deep underground. The ACTL will be the backbone to revitalizing the oil industry in central Alberta. Since construction began on the refinery, more than 13 000 trades have worked on the project. Today more than 4500 people are working on the site every day, and another 3000 are hard at work in the modular and fabrication shops around Edmonton. Construction on the site will peak at over 5000 people later this summer. ACTL construction will also begin shortly and will create thousands of jobs throughout central Alberta.